This gorgeous Christmas tapestry shows Santa Claus with all his presents. Filled with beauty and charm, this Santa Claus tapestry "Santa Shining" adds the warmth, beauty and joy of Christmas to any setting. 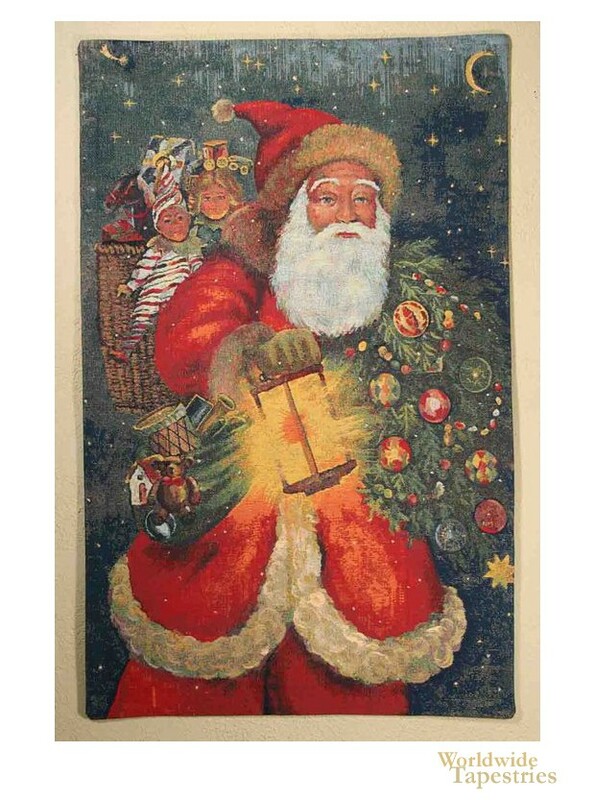 Here we see Santa and his characteristic costume with his presents of toys and dolls, in the starry night sky. This Christmas theme "Santa Shining" tapestry is backed with a lining and has a tunnel for easy hanging.